The main trouble with Black Knot is that the fungus attacks the new growth on Cherry trees, making it swell and become deformed. A Black Knot infestation can stunt your trees growth and the longer the disease is allowed to spread, even causing death of the tree. The Black Knot spores first land and infect your Cherry trees by attacking the soft or new growth on the tree. Regularly inspect your tree for symptoms as the first signs of the disease appear as light brown swellings and are hard to detect. It takes 2-3 years before the disease matures into the hard black tar-like sticks causing the branch to die. Winter or late fall is considered the best time to prune infected trees; the plant is dormant and the galls are much easier to see. The earlier the disease is detected and pruning can begin the better chance of the tree being able to combat the disease. You will want to remove infected branches back to the next best branch union to promote the healthiest structure possible. If no union is present then a cut should be made about 15-20 cm below the knot. When the disease has progressed into the main trunk or scaffold branches of the tree, the hope for the tree’s survival dwindles and replacement is recommended. Proper sterilization of cutting tools is very important, as Black Knot spores can live up to four months after removal. 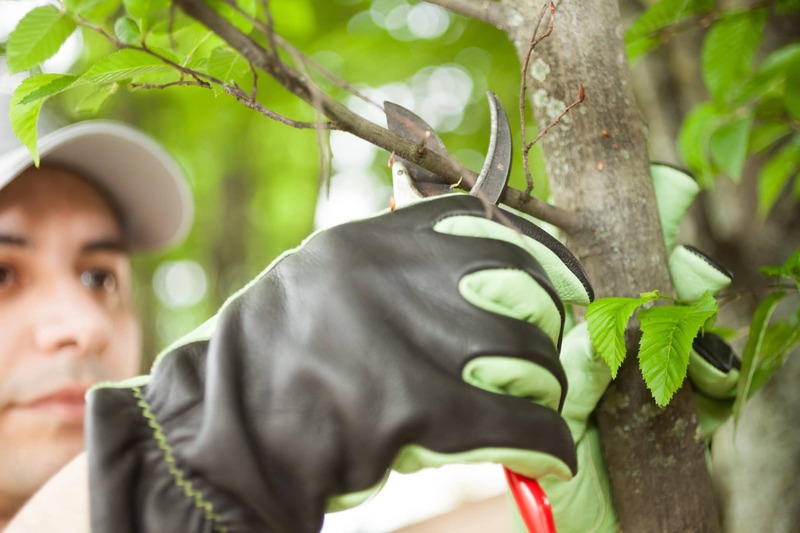 Isopropyl alcohol can be used between trees to help curb the spread of the disease. Proper disposal of infected materials is really important. Grinders recommends burying, burning, or removing the infected tree waste from the pruning site immediately. Local waste management facilities are the best places to take any infected materials. Black Knot is a disease that is considered incurable, as chemical measures have little to no effect in controlling this disease. The best defence is regular pruning and monitoring programs. Calling and speaking to a certified arborist is always a good first step to assessing your Black Knot infestation.